Let Us Help You Remember Loved Ones. At our independent, family owned funeral home, we are dedicated to providing the highest quality of care and services to you and your loved ones during a time of needs. With comprehensive funeral services, including cremation, funeral pre-planning and memorial services, our funeral parlor's experienced staff will ensure your loved ones are celebrated and remembered with dignity and respect. Established in 1860, our funeral home has been in the Coots family for five generations, allowing our family to be there for the community during their times of needs. Call us today and let us help you plan the funeral arrangements for loved ones passed. 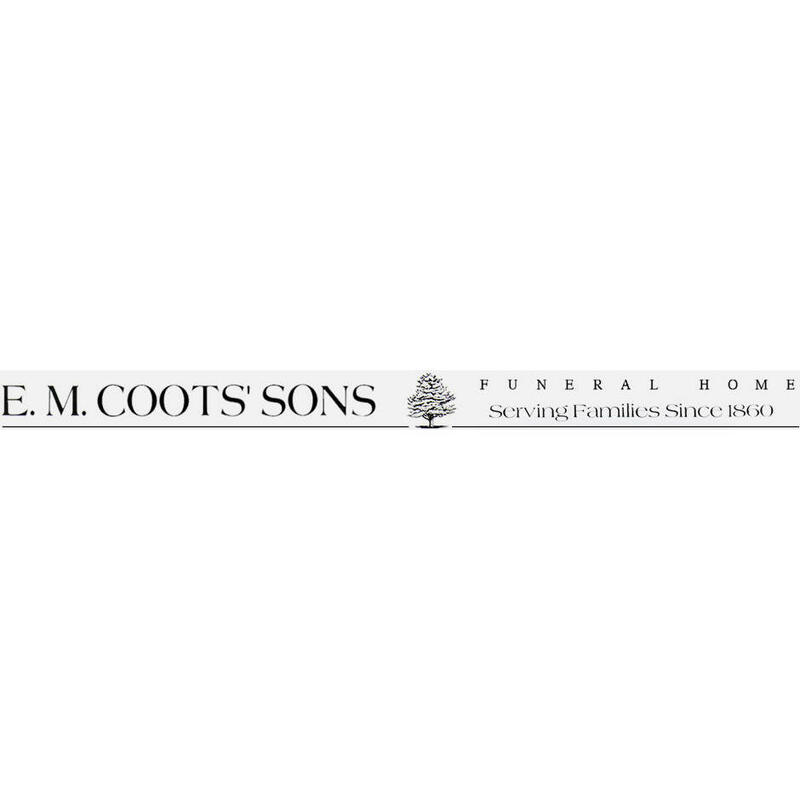 Currently there are no reviews for ' E M Coots' Sons Inc Funeral Home '.